Ceramic epoxy technology has become a staple for the care of water and wastewater assets throughout the U.S. Treatment plants, distribution pipelines and storage tanks have all benefited from thick-film ceramic epoxy linings. These linings can be applied directly to metal, however, they are often paired with zinc-rich primers in the field and in-shop environments. 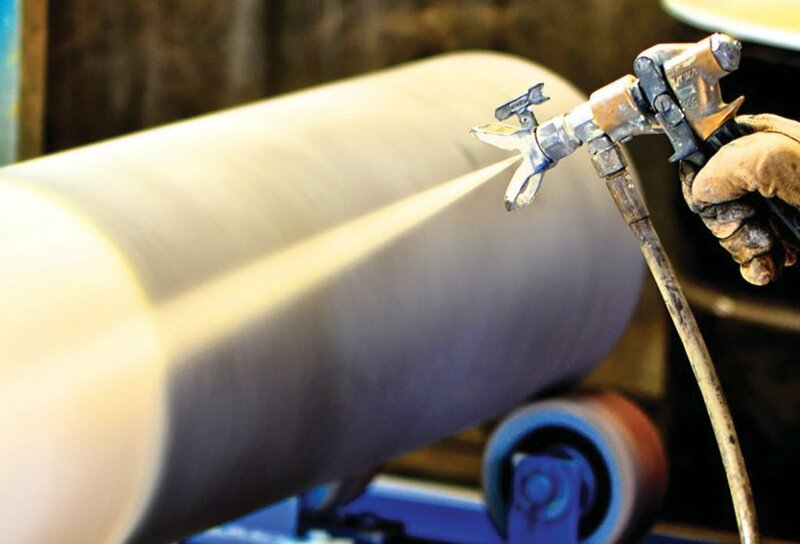 With the introduction to this thin-film ceramic epoxy primer, asset owners, contractors and specifying engineers are invited to "rethink zinc" as an alternative priming option. Induron has announced the launch of its newest product, CeramaPrime Epoxy Primer. With this product, Induron distilled qualities of a high-build ceramic epoxy linings into a thin-film ceramic epoxy primer. CeramaPrime enables facility owners to quickly move more painted product through their facilities without sacrificing key performance attributes. Induron’s Ceramic Epoxy technology has been proven over decades of service in the most aggressive environments. Epoxy technology can help ensure that your team is safer by eliminating exposure to reactive metals and isocyanates. This is a change for asset owners who have been paying near double the price per gallon for zinc. Ultimately, with this product, Induron is expanding its existing ceramic epoxy technology by offering a primer that increases efficiency and long-term performance. The Water & Wastes Digest staff invites industry professionals to nominate the water and wastewater projects they deem most remarkable and innovative for recognition in the Annual Reference Guide issue. All projects must have been in the design or construction phase over the last 18 months. The water department in Detroit, Mich., is seeing fewer water customers at risk of shutoffs. In Milton, Fla., a new wastewater plant will improve water quality of the Blackwater River.